If you don't get these heels now, how will your followers know to do so! 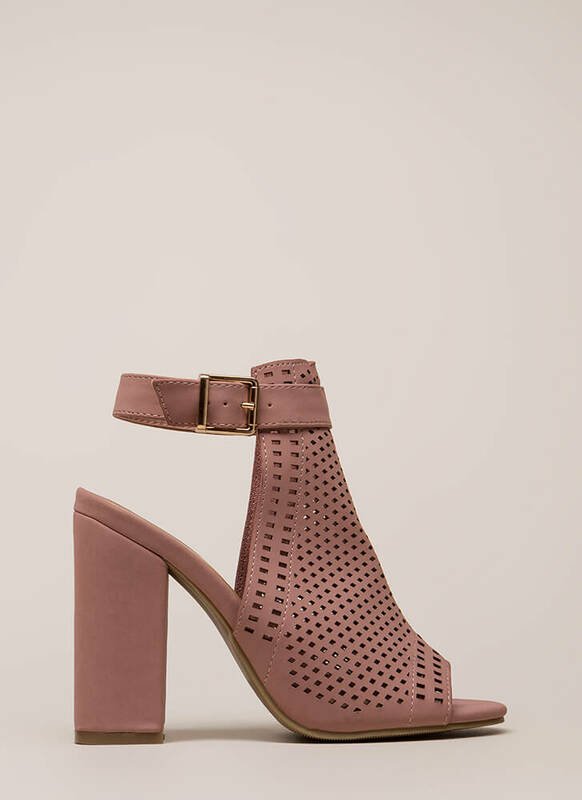 Chunky vegan nubuck peep-toe heels feature an open back, an ankle strap with an adjustable buckle, and a paneled front with square laser cut-outs for a latticed look. Shoes are finished with an exposed heel and a ridged sole.